I’ve never been there – and not sure I ever will – but many from Hawaiʻi have. The place is known for gambling. In 1855, Native Americans Paiute Indians played a roulette-like game in the sand, using bones and colored sticks. Fast forward and today it’s a popular ‘second home’ to many from Hawaiʻi. For many, the trip begins with arrangements through Vacations Hawaiʻi; that leads to charter flight scheduling; local style casino; moderate hotel accommodations (including familiar food;) and ends with favored omiyage. This successful formula has more ties to Hawaiʻi – one of the popular packages is through Boyd Gaming at the California Hotel and Casino (The Cal,) whose founder, Sam Boyd, helped run early gaming in Hilo and Honolulu. When he was in his 20s (1935-1940,) Boyd was in Hawaiʻi working at Hisakichi Hisanaga’s Palace Amusement, organizing Bingo games there. The Boyd Gaming story dates back to 1941, when Sam Boyd arrived in Las Vegas with his family and just $80 in his pocket. He worked up through the ranks of the Las Vegas gaming industry, moving from dealer to pit boss to shift boss. It wasn’t long before Boyd had saved up enough money to buy a small interest in the world-renowned Sahara Hotel. He then moved on to become general manager and partner at The Mint in downtown Las Vegas, where he introduced a number of successful marketing, gaming and entertainment innovations. 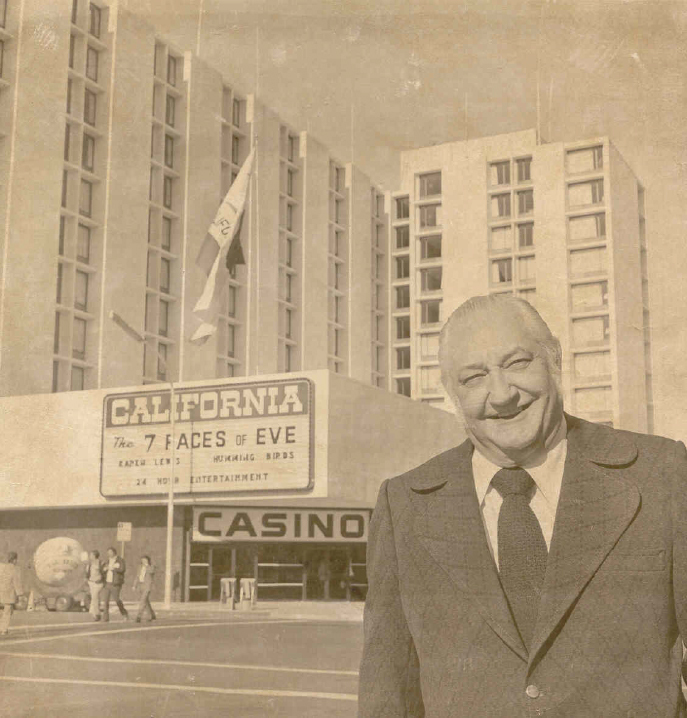 After the Mint was sold in 1968, Sam Boyd started managing the Eldorado Casino in downtown Henderson. He had acquired it with his son, Bill Boyd, in 1962. Bill, a practicing attorney, earned his first interest in the Eldorado by doing all of its legal work. The birth of Boyd Gaming came on January 1, 1975, when Sam and Bill Boyd founded the company to develop and operate the California Hotel and Casino in downtown Las Vegas. At this time, Bill left the legal profession, after practicing for 15 years, and began working full-time at the California. The California was intended to attract people from the largest state where gambling was illegal, where they could drive by car or bus to the desert – that’s why it was called the California. The problem was that the California was not on the main strip. It was downtown but a block-and-a-half away from the Fremont Strip. California travel agents figured out it was a second-rate hotel in a bad location, so the hotel struggled. Seeking a niche for their new property, the Boyds decided to market the property to the underserved tourists from Hawaiʻi – and one of downtown’s greatest success stories was born. Boyd built or helped build eight big hotels and casinos in Southern Nevada. He was also a benefactor to many local organizations, including the University of Nevada-Las Vegas, which named its football stadium the Sam Boyd Silver Bowl. The image shows Sam Boyd outside the California Hotel. In addition, I have added other images in a folder of like name in the Photos section on my Facebook and Google+ pages.